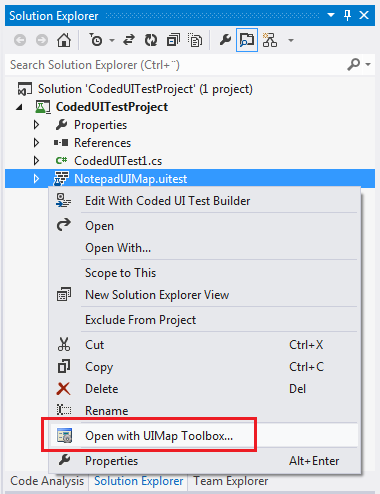 UIMap Toolbox allows you to restructure, split and merge UIMaps created for Microsoft CodedUI tests in Visual Studio 2010, 2012 and 2013. UIMap Toolbox allows you to restructure your UIMaps, e.g. See http://uimaptoolbox.codeplex.com for more information about the tool.